Astroshree provides Education consultancy. Are you facing problem in education,Are you facing problem in career making. Are you facing problem in choosing subject, Are you facing problem in memorising subjects, Are your children facing problem in making special image in school, college and institution. Sometimes it happens that in spite of doing so much effort children are not able to learn the subjects, in spite of so much effort children are not taking interest in subjects, in spite of so much effort children are not taking par in sports, programme, extra activities etc. This all happens due to malefic effects of planets in the horoscope, kundli or janm patrika. After intense study it is possible to rectify this problem through astrology remedies. . So don't hesitate if you are facing the above problems. Here in astroshree the education and career problems are rectified through Gems stones, Amulet, Anusthaans, yantras, mantras etc. Know which planets are creating problems in education. Know the helpful gems for successful studies. Know the best spell for vidya prapti. Know about the daan, pooja to boost studies. If you have your birth details i.e. 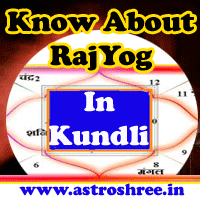 date of birth, place of birth, time of birth then do consult jyotish for reading by clicking below link.